You know how there are dozens of apps you use in Shift to edit your photos? Sometimes, you just need something simple. Google Photos is that simple and accessible tool you were looking for. In Google Photos, you can add filters to your photographs, crop them, and rotate. You can also change the sizes, which comes in handy for uploading square photos to your Instagram. All you need to do is open your Google Photos on your computer and edit them however you want! 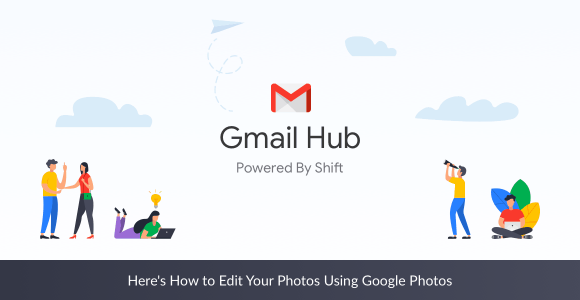 Just like any other Google services, accessing Google Photos right within Shift is almost too easy. Here are the steps to access the built-in editing tool on Google Photos from your Mac/Windows/Linux machine. To crop your image, drag the edges to where you like. When you’re happy with it, click Done. Have you ever noticed some of your photos from your phone comes up in the wrong orientation when you view them on your computer? Don’t worry, there is a quick fix for this. Adding and applying filters is just as easy as staying productive with Shift(which is ridiculously easy if you haven’t tried yet). Note: Clicking on a filter won’t change the image itself, so you can play around and see which filter you like before committing.